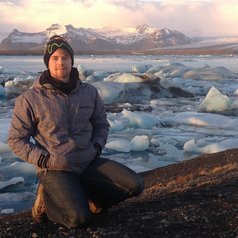 Michael is researching how the EU imagines Arctic space by exploring a genealogy of carbon. He is a member of the Centre for Doctoral Training in Energy at Durham Energy Institute. During his earlier career he worked as postgraduate researcher and part-time teacher at the Arctic Centre and University of Lapland, Finland, and has interned at the Steffanson Arctic Institute (University of Akureyri, Iceland) while working on the Arctic Human Development Report II and Arctic Social Indicators II projects. His qualifications include a masters degree in European Studies: Ideas and Identities from the European Institute, LSE.